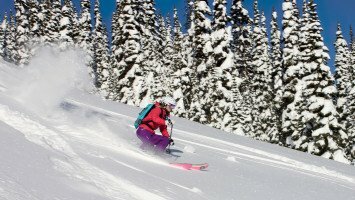 Catskiing is gaining momentum as the best way to backcountry in Canada. It’s difficult to describe the sensation of freeriding in the Great White North. 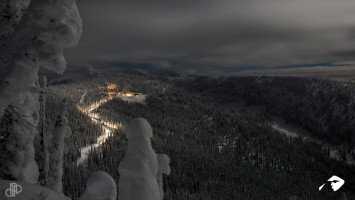 So many factors make this special place the most unique in the world: high peaks, versatile terrain, ski areas, world-class infrastructure and massive snowfalls of dry pow. While you can’t exactly predict the weather for your trip, you can minimize the risk of bad conditions ruining your session. 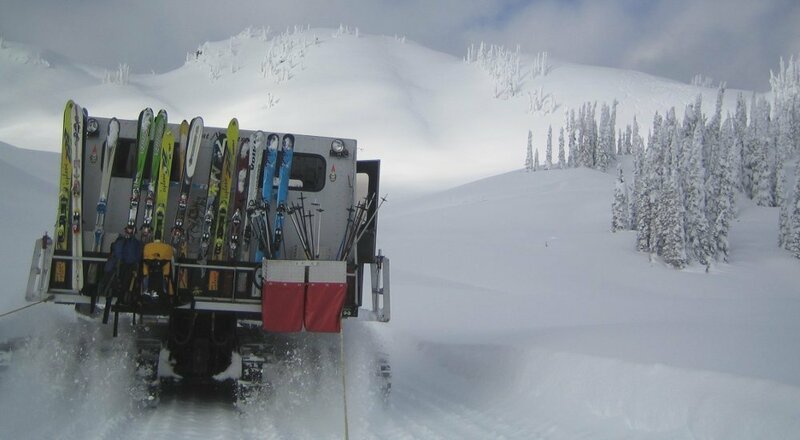 By choosing a snowcat trip, you can rest assured that you won’t have any down days. The best thing about booking with us is that we are unbiased. We don’t have exclusive contracts with selected resorts, operators or catskiing providers in Canada, but rather have them all to make sure you get exactly the holiday you are dreaming of. No compromises, no sad faces - as we offer the widest collection of alternatives for catskiing in Canada. The snow has captured our hearts for years. Most of our staff have spent extensive time living, traveling and hunting snow across Canada and we know the best operators and destinations to suit your budget and skill level. With us, it’s always personal. We cater to your needs and come up with the best alternatives that suit you. At LUEX, you get to talk to real people with real input! All of our sales agents are experienced skiers and riders and understand what it’s like to book your first (or second or third) snow trip. No scripted messages, no robot typing – just real-time assistance and a human touch. "...It’s a little less intense with a snowcat. It takes longer to get the group to the top, but that’s the time when I can get some rest, chat with the others about the lines we just skied or eat a sandwich. And believe me, you’ll still get to ski from morning til late afternoon and come back to the lodge tired and satisfied. 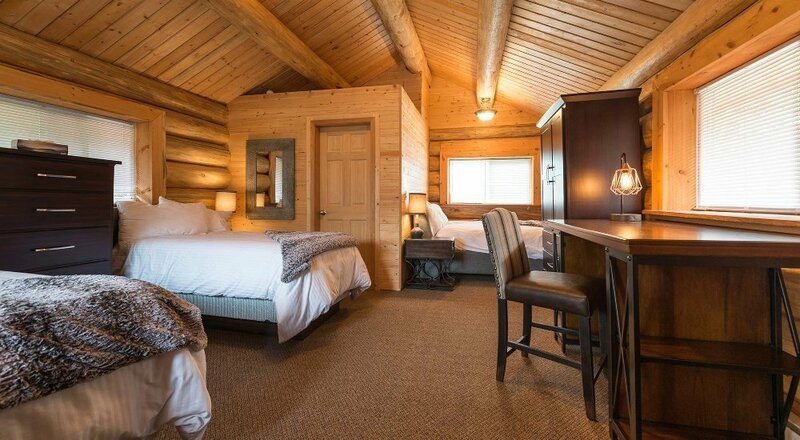 Talking about the lodge, it’s a modern and cozy house with sauna that offers very good food and great atmosphere. I’ll be back next year." "That was the best experience EVER! Snowboarding on the fresh powder and enjoying every run. Super satisfied with the 8 runs we did. At the end I was quite tired, but in conditions like these I could another 3 or more runs if it was possible. Crew was great, they really know what are they doing. I recommend it to everyone who wants an ultimate powder day! :)"
"Canada is simply FANTASTIC. I’m from Seattle and I’ve been coming back to B.C. every winter for a decade. 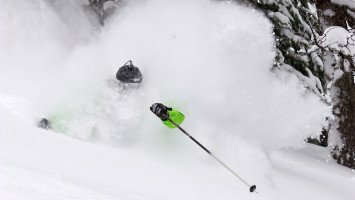 As I have a limited budget, catskiing seems like the best way to shred the best powder without spending life’s savings. This trip stands out. Guiding and terrain are on the highest level, while lodge is a little more basic… but hey! This makes it more affordable than other trips and trust – just as much fun!" "Island Lake Lodge is professional service. I enjoy comfort lodge much and my friend too. We skied amazing routes, different than Europe Alps. We get all skis, avalanche equipment, guides and it is very good. Great experience, because powder runs are many kinds of terrain and all by snowcat, so if is snowy or clouds we go freeriding too..."
Gorgeous vistas, deep dry powder, and cozy mountain lodges add up to an unforgettable ski trip. But catskiing in Canada has a lot more to offer. 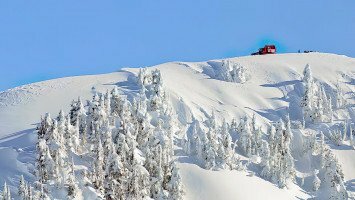 Snowcat skiing is perfect for skiers and snowboarders who want to experience all the extreme terrain and wide-open spaces Canada is famous for, but at a much more affordable price than heliskiing. 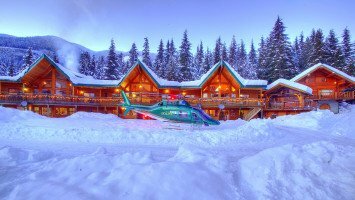 Catskiing is pure value for many, and a much more laid-back travel style, without all the hassles of heliskiing or the crowds of resort skiing. No matter where you choose to go snowcat skiing or snowboarding, you can almost guarantee that you’ll get the most vertical for your money. Snowcats don’t have to be grounded for bad weather days, while this is the risk of heliskiing trips. And because it’s much more economical for snowcat operators to provide you with a full day’s worth of skiing, you’ll have more time on the slopes and less time waiting for a ride or sitting out bad weather. 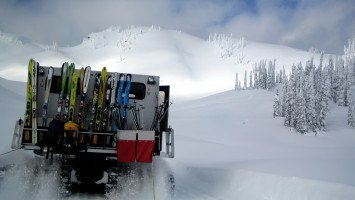 Snowcat skiing has long been thought of as the “little sister” to heli skiing. 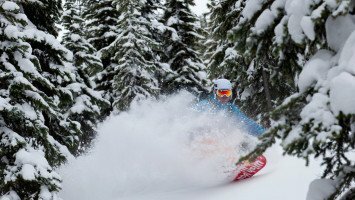 And although heliskiing ticks a lot of boxes for backcountry enthusiasts, there are excellent reasons to choose snowcat skiing, beyond just saving money. For those eco-conscious skiers and boarders, snowcat skiing has a lesser impact on the environment than its helicopter alternative. It’s also known for offering a more relaxed travel experience, starting from the beginning of your day, when you don’t have to worry about the long list of safety rules for riding in a helicopter. It’s a cozy ride from bottom to top, with relaxed trips up the hill between runs. Crank some tunes instead of listening to the roar of a helicopter, and enjoy a few snacks, warm drinks and a little conversation with friends, old and new. There’s no place like Canada for catskiing. 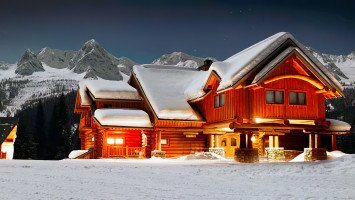 From the cozy and luxurious lodges to the well-developed catskiing tenures and of course, the epic terrain, cat skiing in Canada is sure to be the trip of a lifetime. 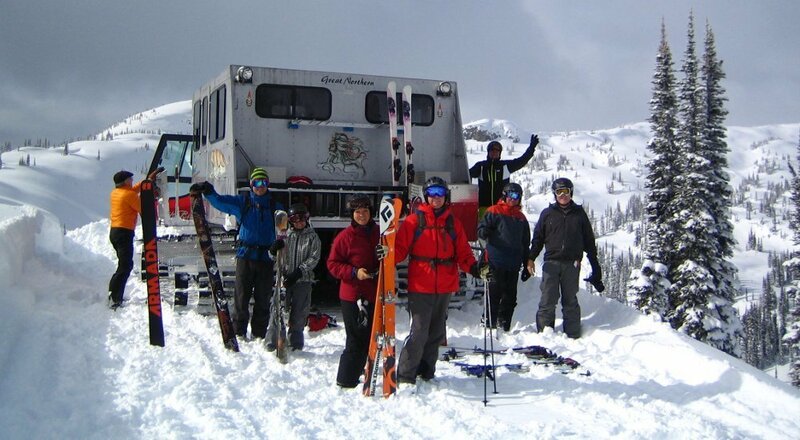 Canadian catski operators are known as some of the best in the business, with decades of experience developing the best routes. 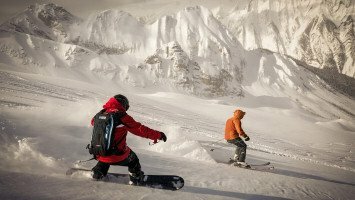 These legends offer the highest level of service and are among the world’s elite guides for anyone new to catskiing. Canada is the “wild west” of skiing, welcoming all types of powder cowboys, and offering a much different atmosphere than Europe. In this vast, beautiful country, you’ll find plenty of fresh powder, untracked slopes and incredible views at every turn. In many ways, Canada is the ultimate skiing destination. What Hawaii or Indo is for surfers, Canada is for powder hounds: the biggest mountains, best snow and some of the most expansive terrain you’ll find anywhere on the planet. 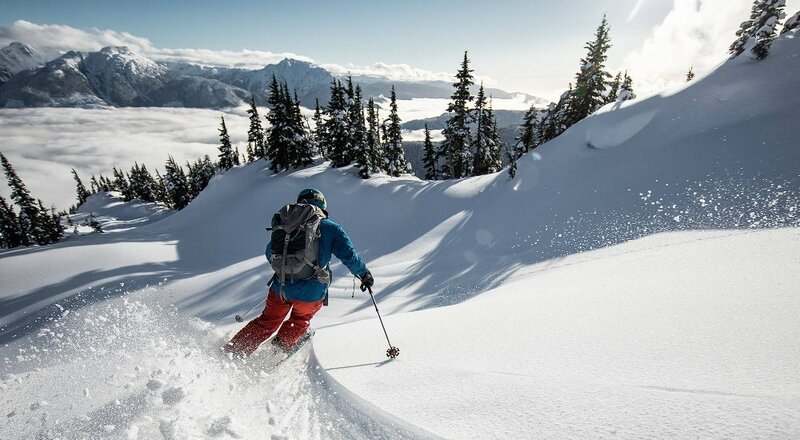 LUEX offers more catskiing trips in Canada than you’ll find anywhere else in the world and we have a great selection to choose from perfect for families, couples, solo travellers and groups. We understand everyone is different and know how to tailor a trip for anyone – from party people to ski bums. Catski trips in Canada also come in every price range, with multiple budget options available for any wallet weight. Of course, choices are even broader for those interested in a medium to luxury-priced trip. Our catski trips are best suited to intermediate to pro skiers and riders with mostly steep terrain, tree runs, and open chutes and bowls. But it doesn’t mean newbies need to stay on the bunny hill, with guides able to hunt down friendlier terrain for less advanced riders. 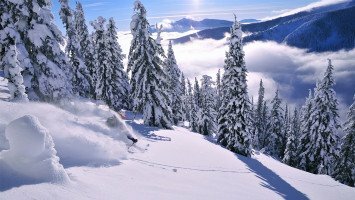 Adventure, luxury, and endless champagne powder: you can have it all with a catski trip in Canada.